The .50 Caliber health and fitness protocol is the third phase of the Fire Team Whiskey Health and Fitness journey. The .50 Caliber is designed for members who just completed the second phase (the .38 Caliber Protocol) or are already extremely active and are on a low carb, low sugar nutritional plan. Just like the .22 CAL and .38 CAL Program, the Fire Team Whiskey® .50 Caliber Program is a 30 day Program that follow the latest research in optimizing health and fitness: LOW SUGAR, LOW CARB KETOGENICS, HIGH-INTENSITY INTERVAL TRAINING, AND ACCOUNTABILITY/SUPPORT. With the .50 Caliber you will be stepped up to the next level of nutrition and fitness, with harder, more complex workouts, the addition of a resistance band, and a even more refined, athletic, ketogenic nutrition plan with the addition of intermittent fasting. The theme for this Protocol is “VINCIT QUI SE VINCIT” He conquers who conquers himself. Meaning, in order to make change, you must do the work within, develop yourself, conquer your own demons, make yourself strong, then you can influence the world around you. IF YOU SUCCESSFULLY COMPLETED THE .38 CAL PROGRAM, YOU WERE PROVIDED A COUPON CODE FOR A DISCOUNT ON YOUR .50 CAL PACKAGE. 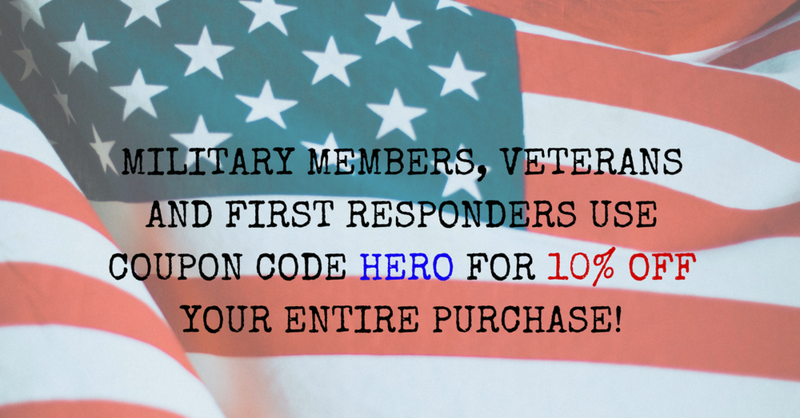 ASK YOUR FTW CADRE IF YOU DON'T HAVE YOUR COUPON CODE. 1 on 1 coaching support is available as an add on to the .50 Caliber Package. You will have a FTW Cadre who is a health coach, Certified Personal Trainer and Military Veteran work with you via phone, text, email and/or video call every day of your 30 day program. You will also receive a USB Dog Tag loaded with all of your Program documents and videos and a smart scale that will help you track your progress. You have access to your FTW Cadre for 30 whole days, plus everything included in the .50 Caliber Protocol Program above. Special offer before DEC 1, 2018 is $399! The .50 Caliber online Program materials, eating plans, fitness videos, wellness videos, recipes and weekly bonus content are all available with a monthly membership subscription. This is online membership site materials/media access only and DOES NOT include, MealRation Bars or Shakes, Health Coaching, t-shirt, and bonuses that the above packages come with. Have questions about the Caliber Packages? Shoot us an email info@fireteamwhiskey.com or call 904-346-3270. After you Enlist in your .50 Caliber Program, we will email you a link to choose the flavors of your FuelRation Bars™. We will also ask your current t-shirt size. Be on the lookout for that email and add info@fireteamwhiskey.com to your contact list!